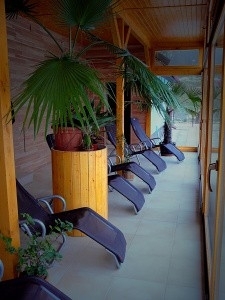 Boarding: breakfast, half board, full board; lunchroom and snack bar, grill in the outside pergola. 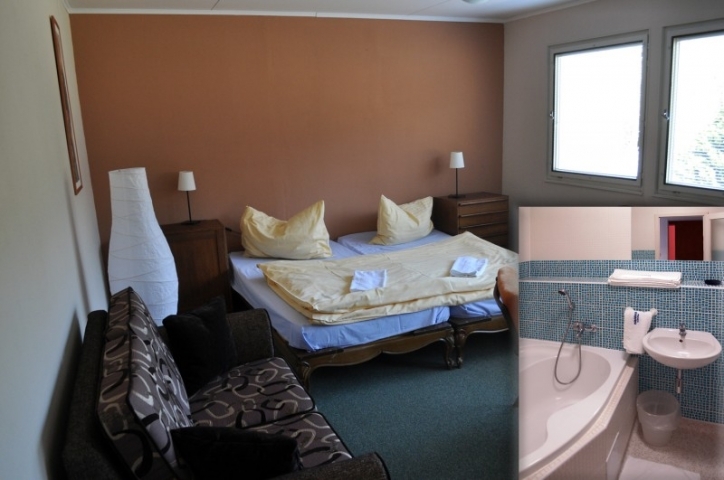 Sanitary facilities: Hotel (the maing building): each room has one ´s own shower-bath and toilet. 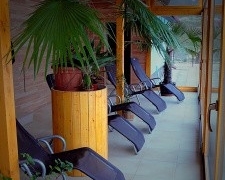 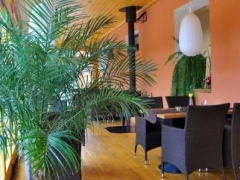 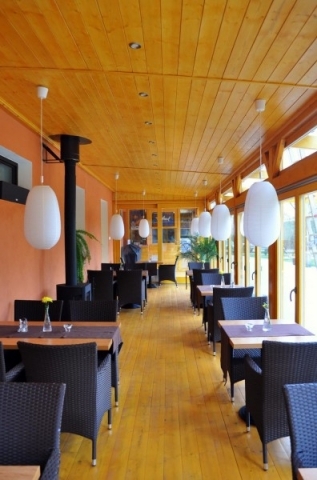 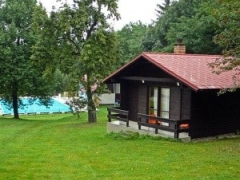 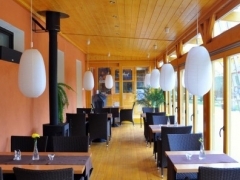 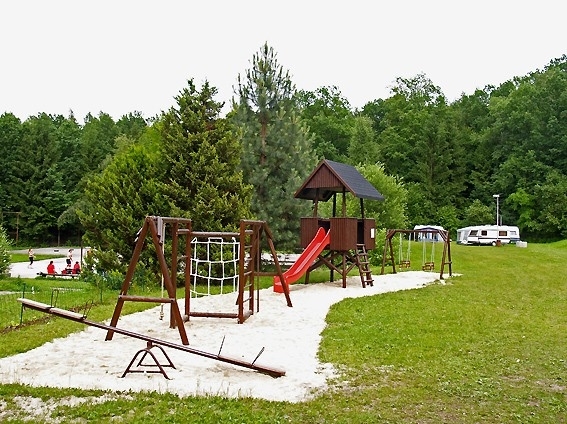 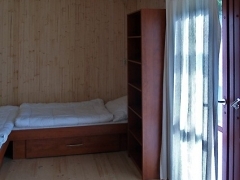 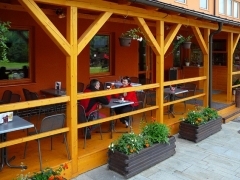 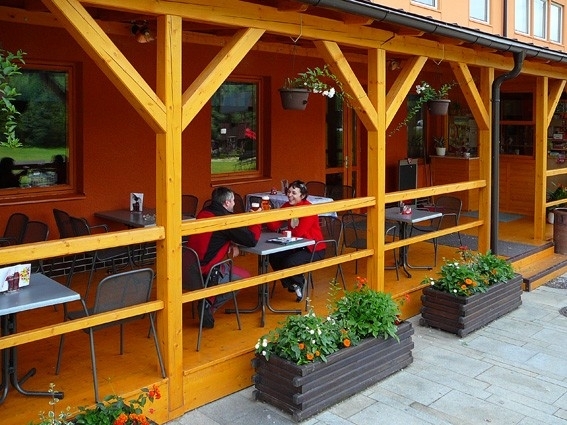 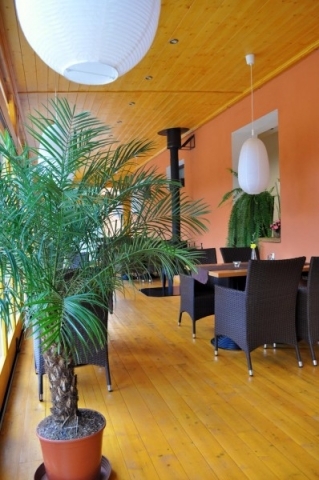 Description of lodgings: The hotel Barborka is situated in undisturbed part of the community Hluboká nad Vltavou; it is among of the three sides by wood. 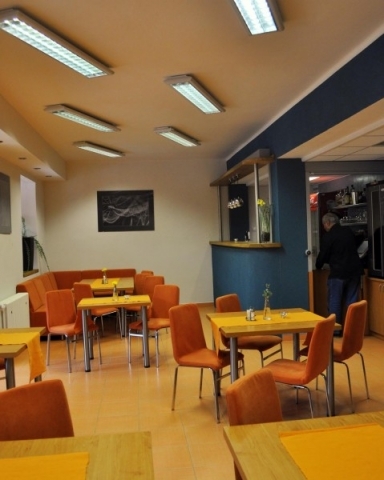 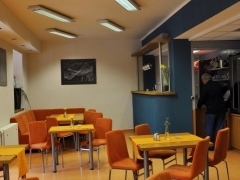 České Budějovice lies 10 km far away.Hotel: In the main building guests can borrow the TV to the room (with fee), in the room there is connection to Internet. 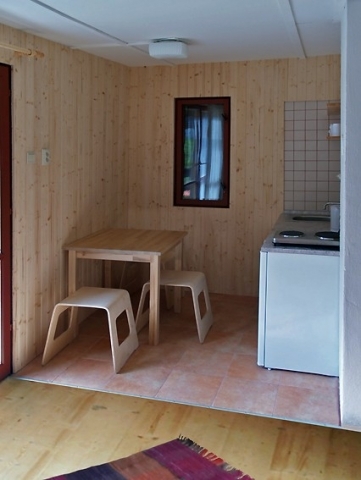 Hostel: Guests also can borrow the TV to the room(with fee) in the second building, but the fridge is used altogether. 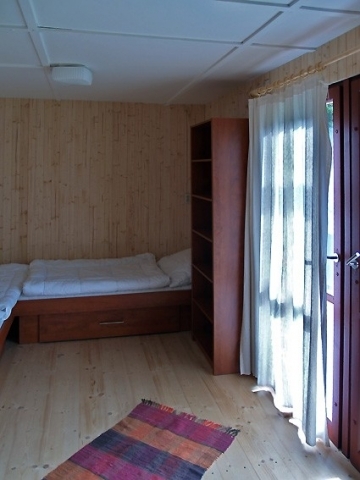 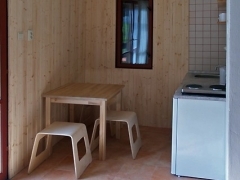 Bungalows: Inside of the bungalows are equipped with is fridge, cooker and dishes. 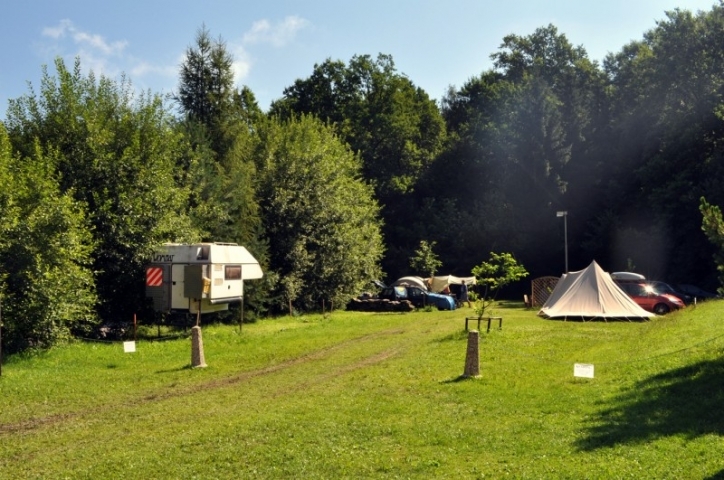 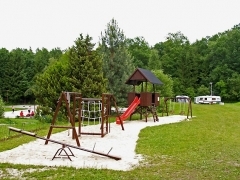 Camp: Visitors can camp out with theirs tents or caravans; the electric connection is disposable. 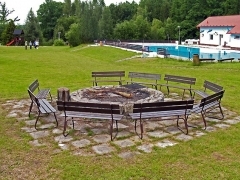 Sporting self-realization: Guest can use various sports facilities, for example the open air basin (25 x 12 m), the fire space, the gymnasium with a tennis court, volleyball, table tennis, nine pines, billiards, but also common room (for 80 people and one smaller for 12 people – suitted for seminars, schoolings, family celebrations) or sauna. 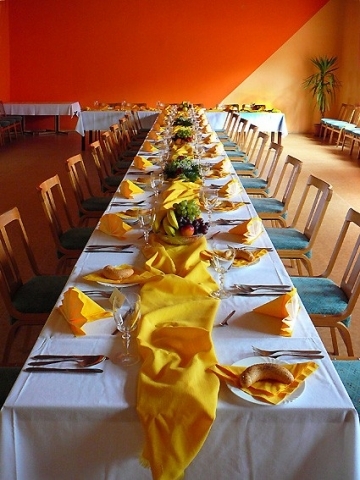 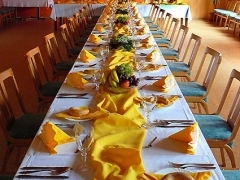 The hotel can also help you cater for your next social or business functions, weddings, seminars and any other meetings. 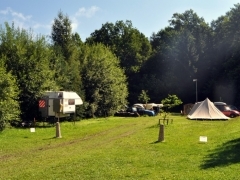 Parking: in the area of the hotel – free.